It just took a troll-infused review bombing of various blockbusters for Rotten Tomatoes to finally mend the rules about something that shouldn’t have been allowed at all. For now, users can no longer write “anticipation reviews”, removing the “Want to see” audience score. 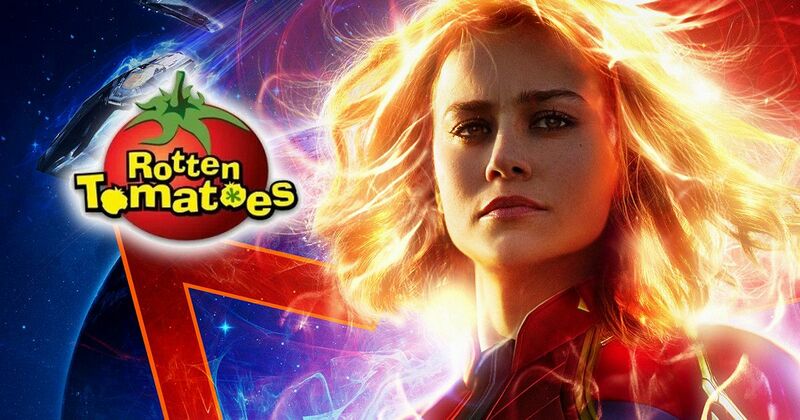 Rotten Tomatoes and Captain Marvel: What’s the issue? What is basically does to take away the ability of people who disagree with the casting of a film, politics or decisions to leave negative comments before a film’s release? The latest example being Marvel Cinematic Universe’s Captain Marvel. The new film has driven a lot of criticism from a very small but highly vocal gathering of fans who have an issue with Brie Larson using her platform to speak for so many others who don’t have one. These fans have taken to Rotten Tomatoes to downvote Captain Marvel and leave aggressive and negative comments. This dropped the anticipation score for the film to lows. All of this is despite the fact that it’s tracking an enormous box office opening which suggests people want to watch it. Captain Marvel isn’t the only film to get affected by these methods by fans. Films like The Last Jedi and Black Panther went through the same fate and ever since it has become all too common. And now, Rotten Tomatoes has finally eliminated the whole thing. They’ve also eliminated the user ability to comment before a film’s release. Trolls aren’t going to go away with this change, but at least Rotten Tomatoes is making an effort to give them significantly less spotlight, and a much quieter voice.